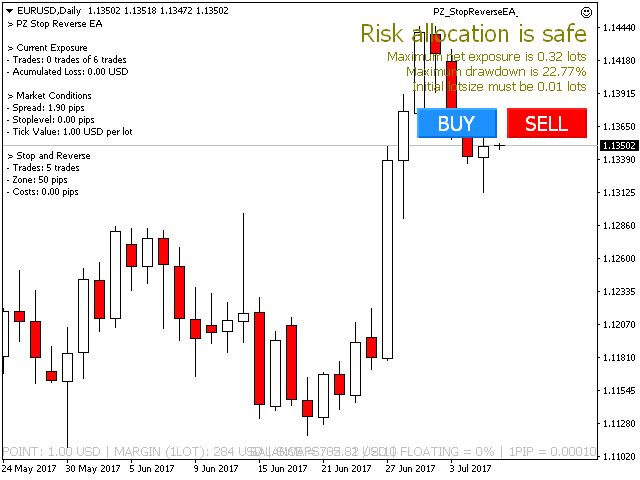 This EA recovers losing trades using a sequential and controlled martingale: it places consecutive trades with increasing lot sizes until the initial trade is recovered, plus a small profit. 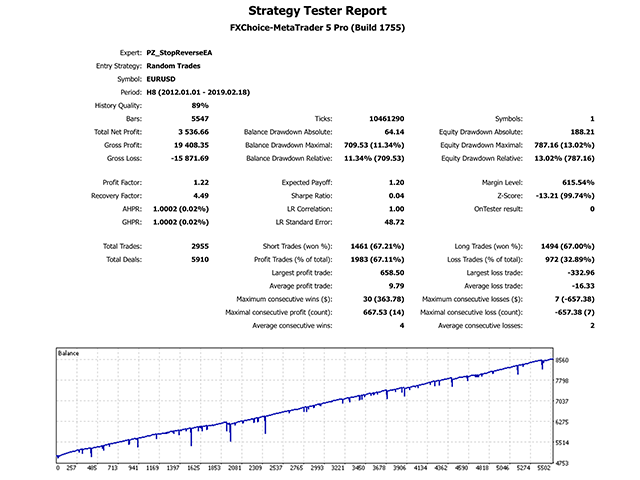 It offers a complete hassle-free trading framework, from managing initial trades to recovery. Since it can recover trades in alternative directions or in the same direction, it becomes a powerful and flexible trading companion. 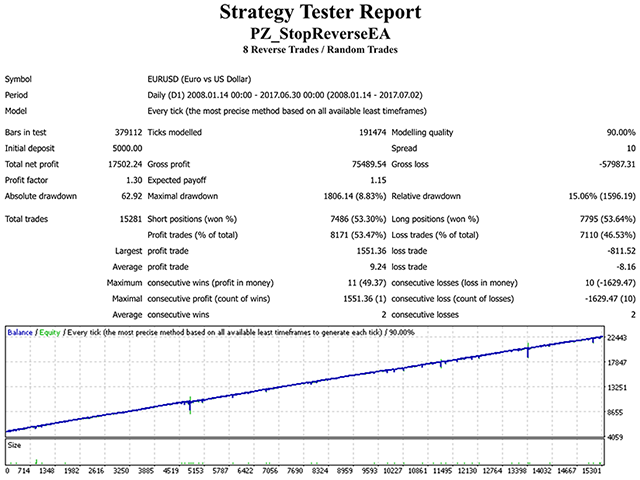 Stop and Reverse: The martingale is a sequence of trades of alternative directions. Stop and Repeat: The martingale is a sequence of trades in the same direction. If you have a strong directional bias, then select "Stop and Repeat". If not, select "Stop and Reverse". The recovery will fail in a minority of cases. If it fails, it incurrs into a calculated loss. The purpose of this EA is not to be profitable by itself, but to avoid preventable losses within the limits of the free margin. Take Profit: Take-profit for the first trade. Trades: Max amount of trades to place during the recovery process. 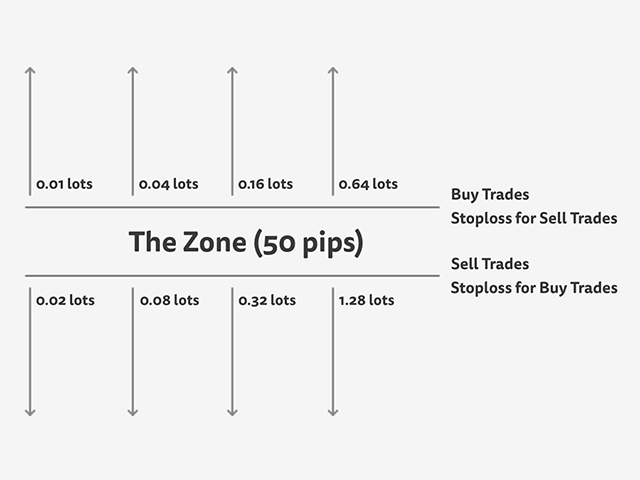 Zone: Distance in pips between the current order and the next order in the martingale. Trade Asian Session: Enable auto-trading during asian session. Trade European Session: Enable auto-trading during europe session. Trade American Session: Enable auto-trading during american session. Magic Number: The EA uses the magic number to identify its trades. Custom Comment: Enter your custom comment for all trades here.